Are you looking for a roomy van for your family or small business needs? 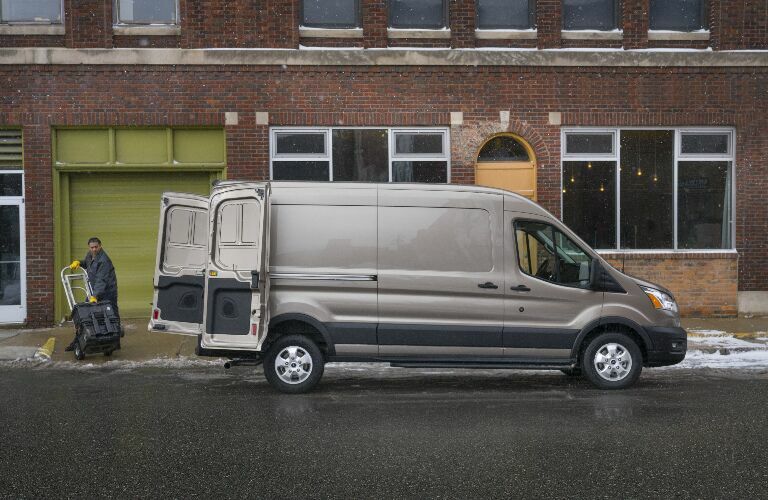 With its spacious and comfortable interior, robust engine options, all-wheel drive capabilities, a wealth of advanced technologies, and many different configuration options, the 2020 Ford Transit is an excellent choice for van shoppers in Kingston and elsewhere in Eastern Ontario. Check out the 2020 Ford Transit at James Braden Ford! You can meet your family or small business needs with the multitude of layout choices for the 2020 Ford Transit. It’s offered in a passenger van, a cargo van, a crew van, a cutaway platform, and a chassis cab, along with dozens of different configurations. 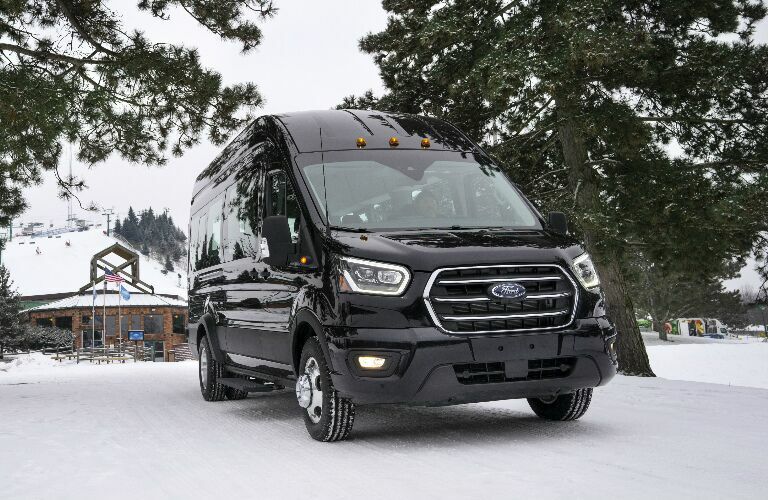 Also, you can choose from many different packages for the 2020 Transit, including the RV Prep Package, Heavy-Duty Trailer Tow Package, Builder’s Prep Package, and Auxiliary Heater/AC Prep Package. The 2020 Ford Transit delivers excellent performance with its robust engine options. This includes the 3.5-litre PFDi gas V6, the 2.0-litre EcoBlue bi-turbo I4 diesel, and the 3.5-litre EcoBoost gas engine. Both the EcoBlue diesel and EcoBoost gas engine come equipped with an Auto Start-Stop system, which improves fuel economy by temporarily shutting off the engine while idling. Both of the gas engines can be outfitted with dual 250-amp alternators, which provide an extra boost of power for using uplift equipment. All of the engines are mated to the smooth-shifting 10-speed automatic transmission. 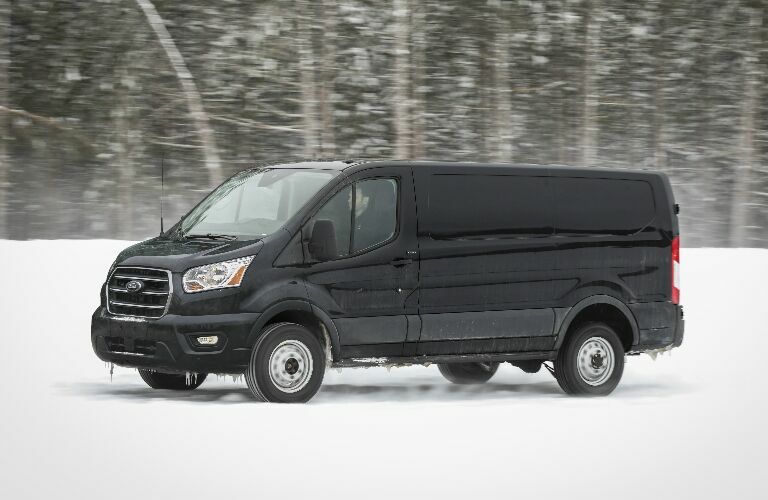 And for all-weather traction, the 2020 Transit offers an available all-wheel drive system. The new Transit is a very high-tech van. 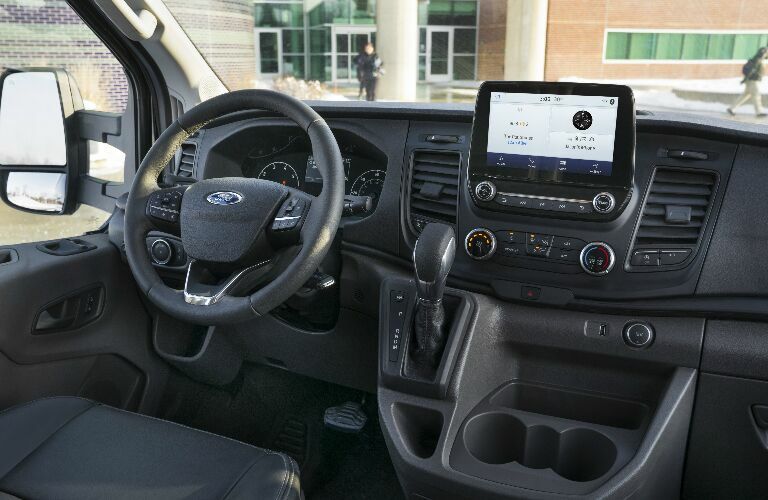 Connectivity and multimedia technologies include a 4G LTE Wi-Fi hotspot with the ability to connect up to 10 devices, Apple CarPlay and Android Auto smartphone integration, Ford Telematics, and Ford Data Services. Also, the Transit comes standard with many advanced driving assistance technologies, including Forward Collision Warning, the Lane-Keeping System, Automatic Emergency Braking with Pedestrian Detection, and Automatic High Beams. Visit us at James Braden Ford and get behind the wheel of the 2020 Ford Transit!